Happy Valentines and Singles Awareness Day! Have a great day to all my fellow single peeps! I'd say happy Valentine's Day, but.... I hate that holiday. Jameron - You're the one that I want! Other videos may follow, tell me what you think. Glad i got you babe! You'll notice that Summer Glau has kept her Terminator face. You think these videos are funny? Wait until i post the next one! 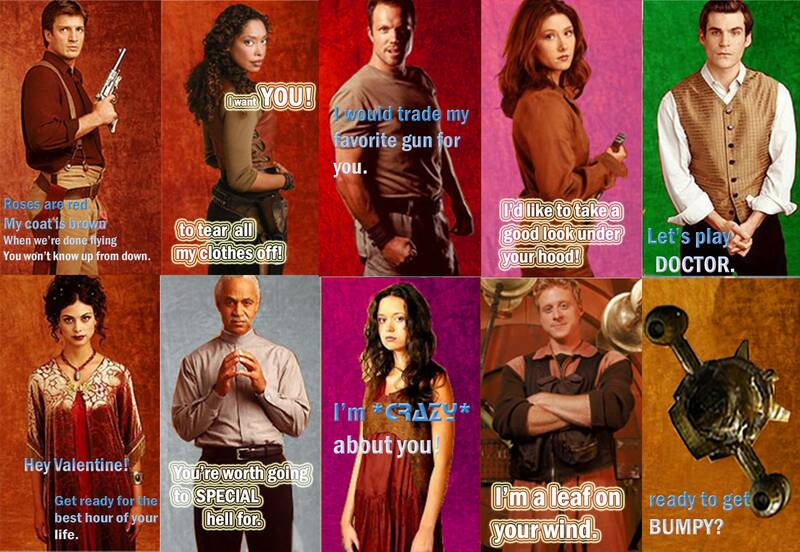 It should be something like "The TSCC cast goes disco"
The Firefly cast: will you be my valentine? The Terminator: The Sarah Connor Chronicles cast has some fun dancing on "That's the Way I Like It", recorded and published in 1975 by 'KC and the Sunshine Band'. It's like a disco ball exploded onstage. I hope you'll have just as much fun watching this fan made video as I had making it. you must have had some fun making this disco classic, brings back great memories on the disco floor, TSCC cast so funny i must have played this video about ten times over so brilliantly put together, shiny disco balls, headbands, and richard with his microphone head what a mover, actually some groovy disco moves just as good as saturday night fever, wicked. please make some more. Happy Valentine's and Single Awareness Day! Which love songs would stars seduce you with. Colton Haynes, Connie Britton, Christian Slatter, Steve Zahn and many more reveal how they'd get their valentines in the mood. Who holds your heart on this day of love? Happy Valentine's Day from eOne and Knights Of Badassdom!